Have you ever used a hair range that made you shout YESSS because it makes your hair look and feel great? 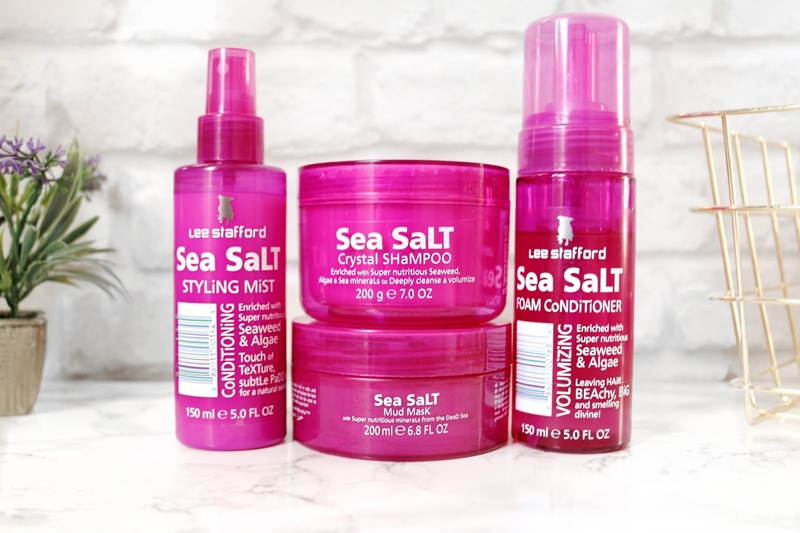 Well I have, The Lee Stafford Sea Salt range has been giving me life these past few weeks. 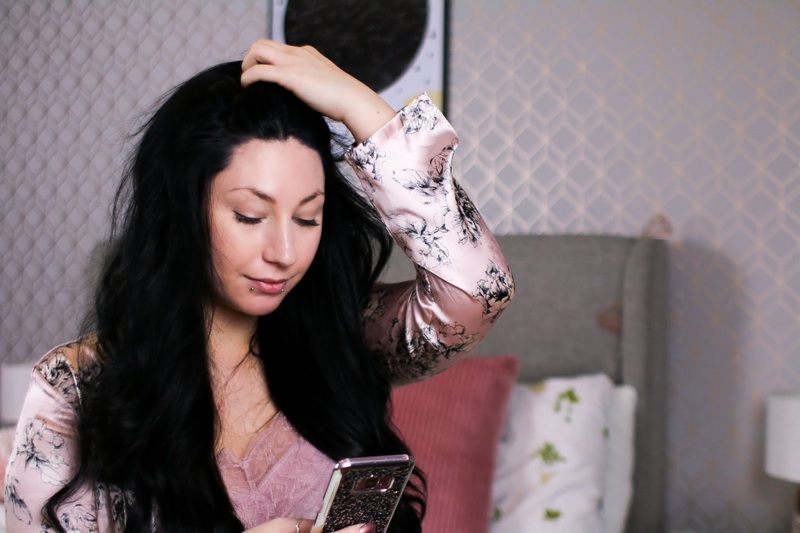 My hair has went from drab and lifeless to a volume dream with texture that allows me to create the beach waves and curls that I adore so much. I have been using this range for a few weeks now and I really love how my hair feels and looks after use. I can definitely tell a difference in the texture and I find it so much easier to work with when it's freshly washed compared to how it was before. I can style my hair easier because there is a little more "Grit" to it if that makes sense? Although it's still silky smooth it's not too smooth that I can't work with because most times I wasn't able to do much with my hair as soon as I washed it and would have to wait for that second day hair feeling. When I first opened this shampoo to use it I was a little skeptical, it's a paste of sorts filled with sea salt which made me think it wouldn't work or lather up, it's strange using shampoos like that so I didn't know what to expect if I am honest. 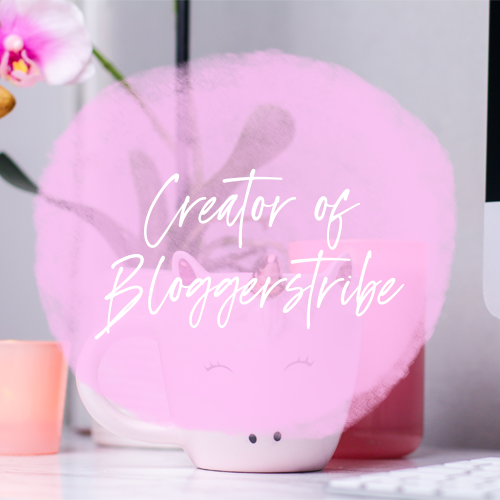 Upon first use I was still a little torn, I really like the scent of it and it does lather up but the ease of use wasn't too great for me but after a few times using it I have worked it out and I find my hair feels super clean afterwards. The sea salt crystals help to exfoliate your scalp when you massage it in which is really good for you to help stimulate blood flow and keep your scalp in good health. This Shampoo is enriched with seaweed, Algae and sea minerals which help to deeply cleanse your hair and create volume. All in all this shampoo has been a saviour in my hair care routine, I love how it works on my locks. 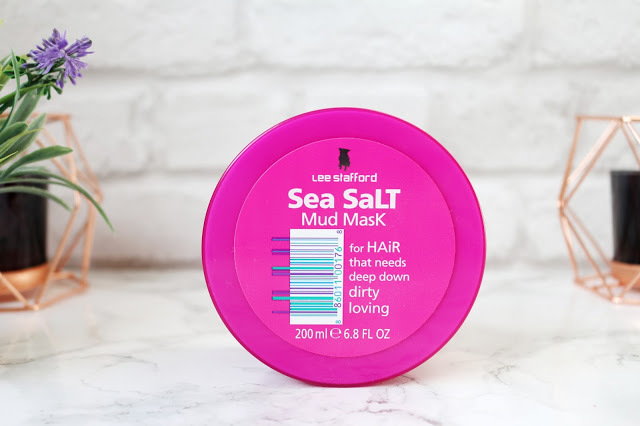 Now I don't want to go into too much detail about this one because I already have a full review on this hair mask so go check that our for more information on this little miracle worker. After using the Shampoo and mud mask on my hair it's time for the foam conditioner. No, I know this sounds weird, a foam conditioner? yes! Again, it smells amazing, the classic Lee stafford scent is noticeable in this conditioner for sure, it smells heavenly. The conditioner is enriched with seaweed & Algae which will help leave your hair feeling amazing! This foam conditioner is volumizing and leaves your hair beachy, big and smelling amazing. 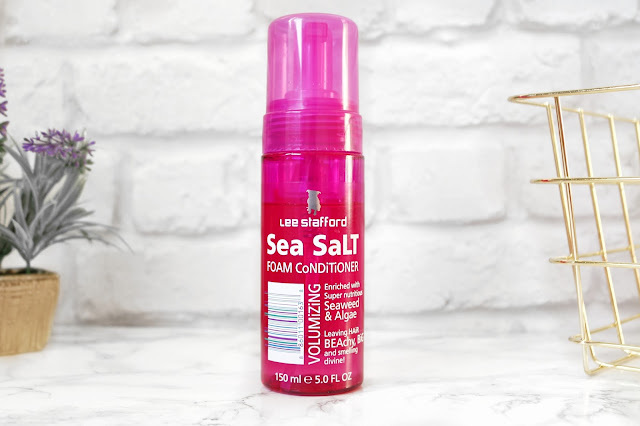 The Sea Salt conditioner is very lightweight, I found that I didn't need a lot of it at all to cover my hair and leave it feeling fab. This will absorb into your hair shaft which works from the inside out to leave your hair super conditioned and wont weigh it down. After I have used the shampoo, hair mask and conditioner it's time to use the sea salt styling mist. You can use this spray on both wet and dry hair, just which ever you prefer. Personally I use it on wet hair then let my hair dry. 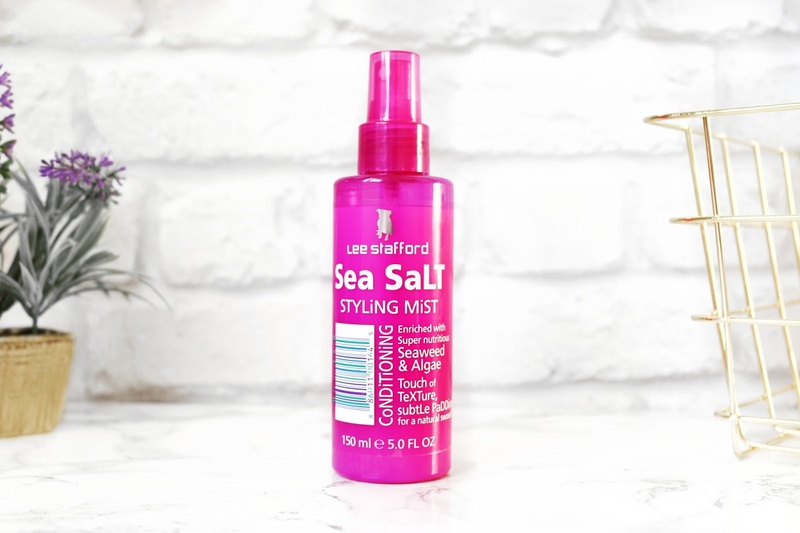 This styling mist is enriched with Seaweed and Algae just like the conditioner to really help you take care of your hair. This styling spray is designed to condition and help you calm and control fluff and flyaways and gently plumps and encourages texture. I have noticed that my hair over all doesn't look so "scruffy" if that makes sense, my flyaways are kept to a minimum and I can really work with my hair a whole lot better now. All in all this range has been amazing to use, I love that I can really hair beautiful mermaid hair with minimum effort. My hair is in fantastic condition, I love how it smells and I have had compliments on it since using this range (Thanks Lee!) I would for sure recommend this range if like me you want to be able to have beautiful beachy hair but keep it in tip top condition. It's something every mermaid out there should have in their bathroom. It's great when you find a range that ticks all the boxes. This sounds like a super product range! These products have really helped with getting volume into my hair, it's amazing. 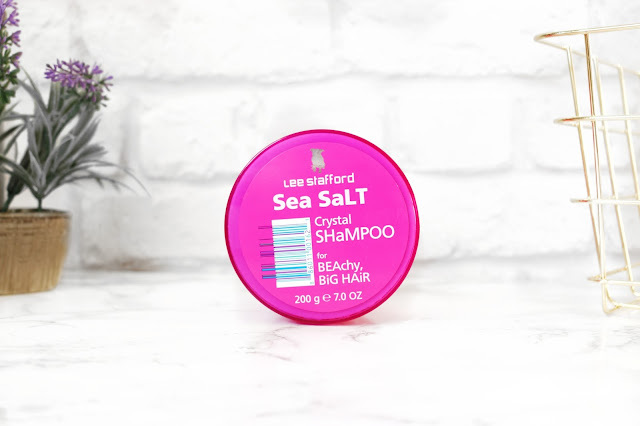 I've been looking for a range that doesn't leave my hair feeling sticky because I love using sea salt products! Looks like a great range to try over the party season! I really like that this range doesn't leave my hair feeling sticky or full of products. A fab range for sure. I have not seen or heard of this collection before. It looks and sounds great. I will have to look out for it :) I am looking for something nice to use on my hair. Foam conditioner does sound different ! The whole collection sounds amazing actually and something I think I'd happily treat myself to ! The products look great. I would love to try the Mud Mask. 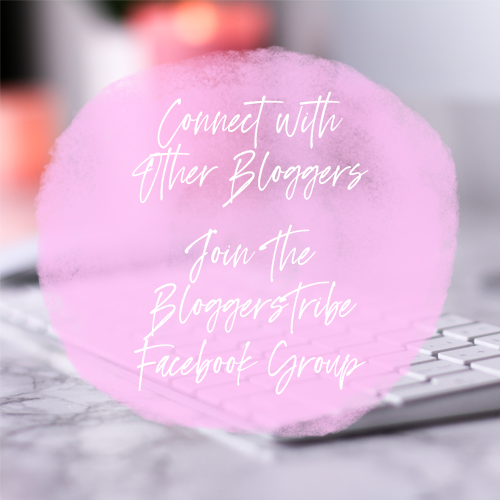 these sound like great products! !